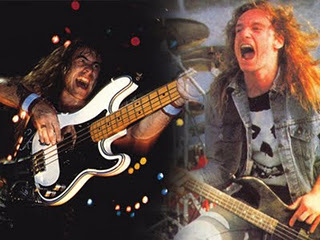 The latest poll on LebMetal.com resulted in a tie between bassists Cliff Burton and Steve Harris. Therefore this article will be an overview on both musicians and their important roles in the Metal universe. Who’s your favorite Metal Bassist? 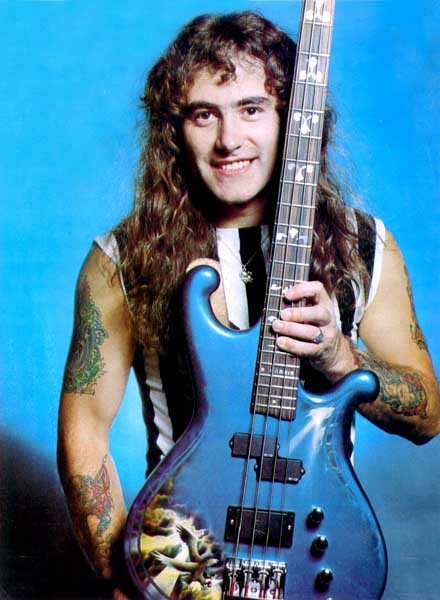 Steve Harris is the (self-taught) bassist and founding member of the heavy metal band Iron Maiden. He used to work as an architectural draftsman before forming Iron Maiden during the mid 70s while he was a youth team footballer for West Ham United (his other passion aside from music). He also plays keyboards, sings backing vocals and is the main composer/lyricist of the band. His earlier projects included”Influence/Gypsy’s Kiss” and “Smiler” which he quit to form a band who could play his composed songs. Harris plays a 4-stringed bass guitar with his fingers (NEVER played a pick/NEVER warmed up before a show). Additional information on Steve Harris can be found here. – Music production/mixing (since “Fear of The Dark”). – Music video (and live videos) directing/editing. Harris’ musical influences were sharpened by progressive and hard rock bands such as Led Zeppelin, Jethro Tull, Deep Purple and bassist Geddy Lee. His playing style is aggressive, with the ‘bomber’ Harris charge around the stage along with the infamous foot on the monitor stance, playing the bass as if it’s a rhythm guitar with the power chords approach alongwith a special sound of his (close to a “slapping” sound). Another accomplishment was him being ranked “best bassist ever” in Classic Rock magazine, January 2000! 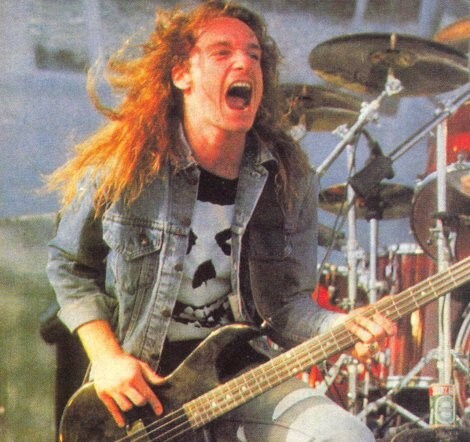 Overall, Steve has got great composing/playing skills which alongside his energetic performance brought a highly respectable reputation of “The world’s most influential heavy metal bassist”. 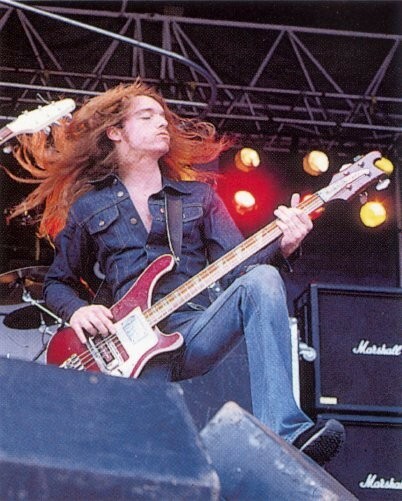 Cliff Burton was the bassist of heavy/thrash metal band Metallica. He used to play Little League baseball for the Castro Valley Auto House team and used to work at an equipment rental yard called Castro Valley Rentals. Cliff was introduced by his father to classical music which got him into piano lessons at an early age. His earlier projects were: EZ Street, Agents of Misfortune and Trauma. He later joined Metallica after being spotted at a live show by Lars Ulrich and James Hetfield who immediately wanted Burton to replace their bassist Ron McGoveny. After 3 albums with Metallica, Cliff passed away on September 27th 1986 when the tour bus skidded off the road as he was killed during the accident. 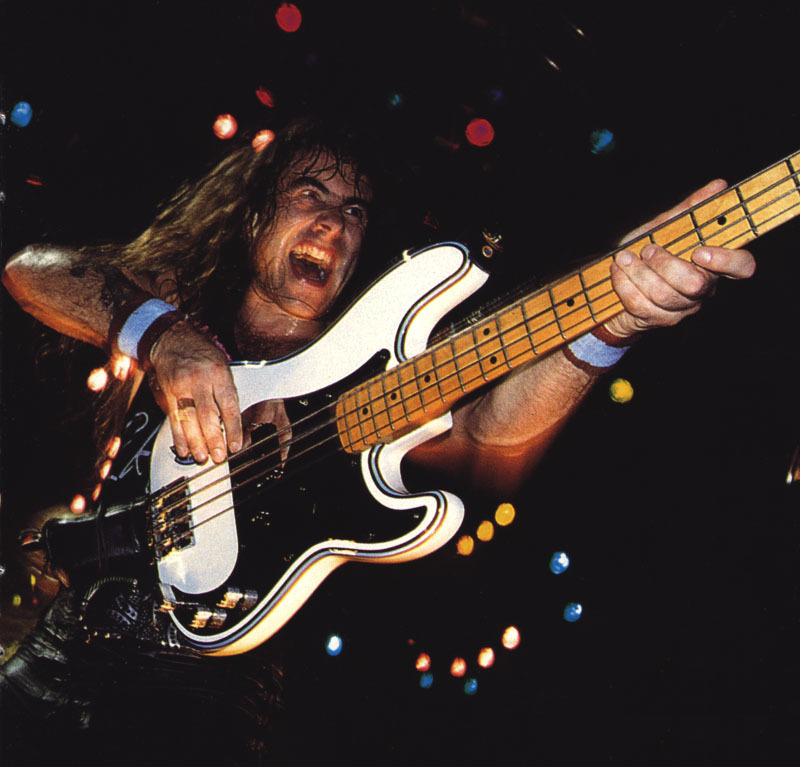 Cliff’s major attribute was Spirit; add musical knowledge and passion to that and you’ll have one of the greatest metal bassists of all time. He experimented with pedals in many songs, mainly in his masterpiece “(Anesthesia) Pulling Teeth” and other tracks such as “The Call of Ktulu”, “Damage Inc.” and “For Whom the Bell Tolls”. He contributed in songwriting especially in both “Ride The Lightning” and “Master of Puppets” albums and he also contributed in the lyrics with his known H.P Lovecraft addiction. His style consisted of a headbanging red-headed attack with a performance which will never be matched, as his pure dedication and skills created the legend himself. He was inducted into the Rock and Roll Hall of Fame with Metallica on April 4th 2009. Other influences were classical music (he loved Bach), jazz, southern rock and blues. His most famous bass guitar is a Rickenbacker 4001; he also used a Mesa Boogie 4″x12″ cabinets amp (see here) and a Chrome Tel-Ray Morley Power Wah Fuzz (among others). Overall, Cliff had a spirit unmatched by the bassists of his era alongside some ultra-fast bass lines and creative classical-influenced composing. He has influenced so many bassists that his legacy will never cease to exist. This was an overview of two important bassists that graced the musical world with their contribution to Metal music.